For those who can’t make the meeting, Conference Rental has you covered. Our cloud-based meeting platform allows participants to view, listen and participate in meetings in real time anywhere in the world, in any language. 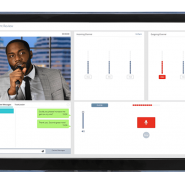 We provide live video and multilingual audio from a meeting allowing users to select which language they want to listen to from their PC or smartphone. Additionally, the platform offers document sharing, live polling and Q&A. This combination of features allows all meeting attendees to feel as if they’re right there in the meeting room. - Live HD Video Streaming and Presentation Sharing: Stream high definition video from anywhere in the world. 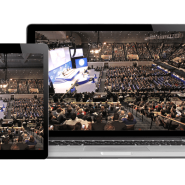 Attendees can switch between live video from the meeting and presentations from the speaker. - Language Interpretation: Using the app or a PC, attendees can pick the language of their choice and seamlessly change their selected language at any time. 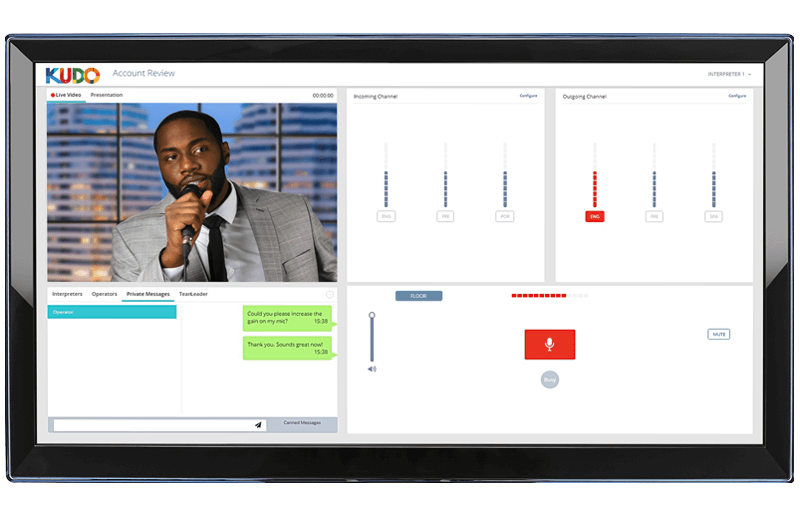 All language channels are fully synced with the video and provide instant simultaneous interpretation so the meeting can flow uninterrupted. - Interpreter Support: Interpreters work from event site or from a KUDO studio. Save on interpreter travel and expenses, and enjoy the flexibility of adding or removing languages up until days before the meeting. - Q&A and Chat: Need to ask the presenter a question? Type your questions in the Q&A function to have them sent to the presenter, or use the chat function to post to the meeting message board.